At the recent 58th Annual Grammy Awards held in Los Angeles, Tak Matsumoto appeared during Japanese broadcaster WOWOW’s live coverage of the event as a guest. 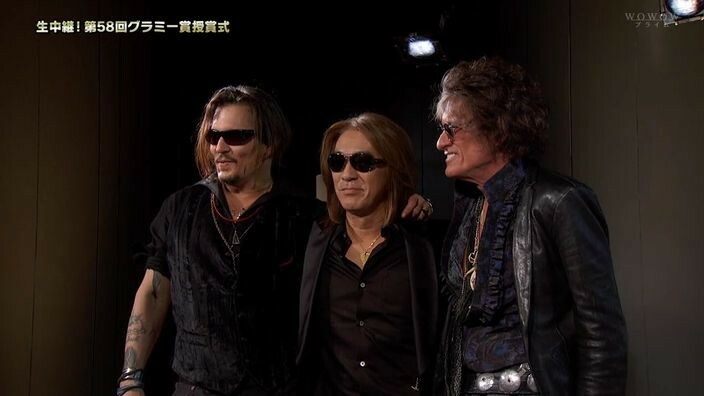 Actor-musician Johnny Depp and Aerosmith guitarist Joe Perry appeared in the preceding segment to promote their supergroup Hollywood Vampires and were photographed by the staff with Tak as he emerges for the interview. Today, the full ten minute interview is now available to be viewed below, complete with subtitles.